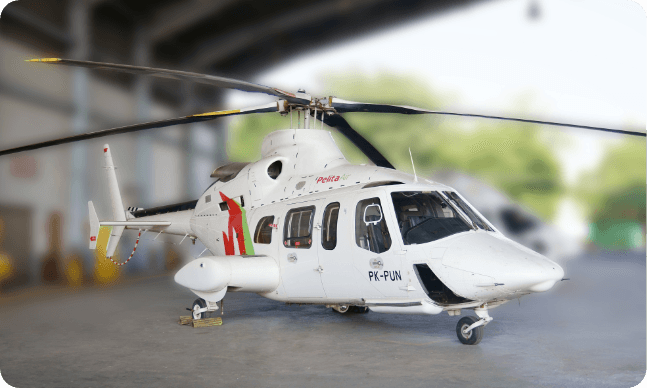 PT Pelita Air Service (PAS) operates several fleets including rotary wing and fixed wing aircraft to pass all over Indonesia terrain. Powered by PW 127 engines, the A TR 72-500 provides outstanding short field performance for an aircraft of this size, even on difficult “hot and high” airfields. The CASA C-212 is a turboprop-powered STOL medium transport aircraft designed and built in Spain for civil and military use. C-212s are also produced under licence in Indonesia by Indonesian Aerospace, formerly called IPTN but now known as IAe. A total of 478 C-212s of all variants had been delivered through the end of 2008 by EADS-CASA. EADS-CASA predicts that an additional 85 aircraft will be delivered in the 2007–2016 time period. EADS-CASA currently builds only the C-212-400, which received Spanish certification in 1998. The C-212-200 is currently built in Indonesia, and IAe is also reportedly preparing to begin assembly of 400 models. As one of the top choices for business traveler, The Gulfstream III offers both class and functionality. The Gulfstream III, a leading private jet for businesses, provides ample space, allowing corporate passengers to maximize their onboard productivity. Additionally, the cabinís 12 large signature windows and 100-percent fresh-air system ensure a comfortable environment in which to work or relax. The Raytheon Beechcraft King Air 200 is a T-tail twin-engine turboprop aircraft from a company known for innovation, functionality, and style. With its compact size yet provides spacious cabin even for taller passengers, this is your smartest air transport solution with budget in mind. Considered as the world’s largest and most popular single engine agricultural aircraft, Pelita Air’s Air Tractor AT802 is the converted version designed to carry gasoline and diesel safely, known as FuelBoss. Its unmatchable manauverbility makes the aircraft suitable to reach difficult landing strip and any landing surface (gravel, sand, grass, pavement) at remote areas. Equipped with specially designed twin tank, A T802 capable carry 4,000 liters of flammable liquid in a single trip safely. Powered by Pratt & Whitney PT6A-65AG producing 1,295 SHP, AT802 can climb to 230 meters in a minute even when full tank. A T802 is prefect for missions arroud the mountainous area for Papua regions. The Cessna Citation XLS combines a spacious cabin for up to 8 passengers and remarkable performance in a beautiful mid-size jet loaded with todays most pupular amenities. It is the most sought after business jet in the world. The Citation XLS has the exceptional ability to safely fly in and out of thousands of small airports while providing impeccable luxury and comfort, taking you conveniently closer to your destination. The attention to detail will be apparent as soon as you step aboard our meticulously appointed aircraft. Take your business aloft and enjoy the ride. The Bell 412EP reliably performs in the most extreme climates on the planet every day. Its expansive cabin can be configured to accommodate either cargo or personnel. Its wide opening 7.7 foot doors accommodate forklift loading into a 220 cubic foot cabin. It seats 13 passengers and 2 crew in a cabin adaptable for any mission. The Bell 412EP is certified for single pilot IFR with a dual digital automatic flight control system allowing for automatic approach to hover and automatic hover capabilities. In addition to offering outstanding product features, the Bell 412EP is backed by Bell Helicopter’s renowned in-service support, voted #1 by our customers twenty years running. If your mission calls for you to go to locations with extreme conditions, the helicopter you should go in is the Bell 412EP. Bolkow NBO 105 is a light, twin-engine, multi-purpose helicopter developed by Bolkow of Ottobrunn, Germany. It featured a revolutionary hingeless rotor system, at that time a pioneering innovation in helicopters when it was introduced into service in 1970. Production of the Bo 105 began at the then recently merged Messerschmitt-Bolkow-Blohm (MBB). The proven S-76® helicopter continues to improve, responding to today’s most critical market requirements with increased performance, quiet comfort and spacious cabin interiors, enhanced safety, dispatch reliability, operating cost efficiencies and superior mission versatility. Introduced in 1977, the S-76 series has had a long legacy of supporting our customers with reliability and comfort. 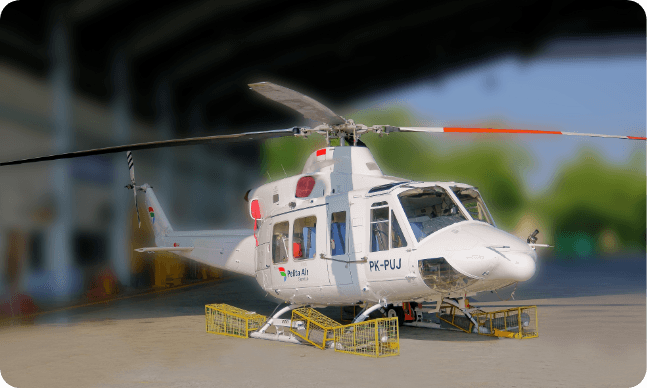 Originally built for the rigorous demands of the offs ?hore oil market, its capabilities fit naturally into other market segments, such as ex ecutive transport, SAR, Airline and helicopter Emergency Medical Services. Earlier versions of the S-76 helicopter include The S-76A TM and S-76A+TM helicopters (307 built), S-76B TM helicopter (103 built) and S-76CTM , S-76C+TM helicopters (191 built), and S-76C++TM helicopters (214 built). These machines continue to be productive assets for our customers and Sikorsky solidly supports them through our Sikorsky Aerospace Services division. The Bell 430 is a four-bladed, twin-engined, nine-seat helicopter , initially marketed as a high-speed corporate and executive helicopter capable of speeds up to 257km/h. Since the Bell 430 entered service in 1996, the helicopter has been very successful in corporate, emergency medical, homeland security and law enforcement roles and in utility and offshore patrol configurations. Over 123 Bell 430 helicopters have been delivered and are in service.